Interview made by Grégoire Cliquet, course leader for the Virtual Reality Master’s program and head of the READi Design Lab, in october 2010. Not only is Guylaine Sauvaget Lasserre an Assistant Professor at the Psychology department of the University of Toulouse (south-western France), she has also dedicated herself to infant prevention and socialization for twenty years in a state-sponsored French institution. In 2009-2010 she thoroughly advised Master’s student in New Eating Habits Aurore Donnat in conducting her final degree project. Spurred by a strong interest in teenage anorexia Aurore elaborated Le réseau d’Arthur (Arthur’s Network) – an alternative solution to standard single-tray meals through eco-designed packaging. Her aim is to turn mealtimes into good times even for anorexic people. Guylaine Sauvaget Lasserre was interviewed by Jean-Patrick Péché, Designer, Consultant and Head of the New Eating Habits research unit; their conversation hints at several key issues about design and its role in the food industry. 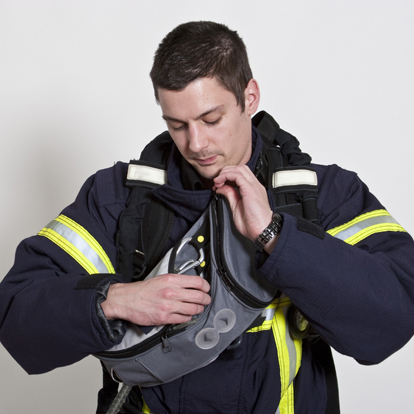 Thomas Buisson, a Master’s student in Responsible Innovation decided to put his know-how to use in upgrading the work conditions of firefighters. His initiative paved the way to a beautiful encounter between the young designer and Captain Jean-Baptiste Floch, appointed Head of the Carquefou Fire and Emergency Services in the vicinity of Nantes (Loire region). Benjamin Walker, Head of the Responsible Innovation research unit asked the firefighting officer a few questions about his collaboration with Thomas Buisson and his view on design. How did you react when Master’s student, Thomas Buisson, contacted you regarding his final degree project for L’École de design? My department had already been approached by students from L’École de design three or four years ago about a short-term, in-house mission at the fire station. The students had decided to center their research on the pull station, our alarm. We had agreed to take them in at the emergency unit, and this turned out to be a positive collaboration. So, when Thomas Buisson came to us in April 2008 with a long-term, broadly scoped project in mind, I listened to what he had to say, and decided to offer him the same opportunity at the local fire station so that my team and I could support him in his research. Wasn’t it a bit strange to have a designer within your team? It sure does not happen everyday. When I submitted Thomas’s internship paperwork to my bosses, the Deputy Director, puzzled, contacted me right away inquiring about what our fire brigade could possibly have to do with L’École de design. I made a point of explaining to him what Thomas had in mind and where he was headed to demonstrate not only his personal commitment, but how he was willing to upgrade our material with his design proposals. We agreed upon a type of tutorship that would not have too much impact on our budget and our tasks. You had to explain to him that there was more to a designer’s role than purely decorative, but rather real and ever-evolving change in the everyday? This means that you were already aware of the functionality that design could offer? To be honest, I had heard of your school because it is located in our fire protection district. Thomas and I had already spoken on a couple of occasions, and this had shed more light on what design actually is. I knew that the student had more significant, long-term plans and a broader view that went well beyond the aesthetic dimension. That’s what I like to hear! It’s reassuring because not many people think this way. Thomas had a hard time finding a concept likely to go the distance. To nurture his thought process, he decided to do an internship. 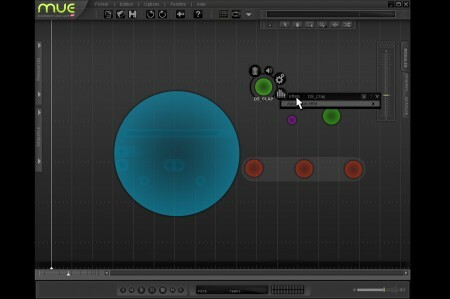 How did you and Thomas organize your work sessions? When Thomas showed up, he knew he wanted to focus his project on a firefighter unit… but that was about it; he had no accurate proposition in mind. At first I was worried I did not want to get stuck with just another intern who would load me with extra work. I made it clear from the start what it would entail. I shared with him my ideas as to what areas needed improvement, but, ultimately, left him with the decision as to which topic he wanted to focus on and then follow-through on it. He said he needed to go through an observation phase prior to choosing a topic. So, I said we could take inventory of his progress upon completion of this first step. I was eager to have him get up close and personal with a fireman’s day-to-day not only in our unit, but in other fire stations. I was prepared to ensure a smooth discovery phase, but in return, I expected him to come up with a concept that would appeal to us. Thomas put forth a lot of effort right from the observation phase. He played an active role, and made himself available for shadowing a fireman involves being on-call Saturdays, Sundays and evenings. Thomas took part in drills held outside the fire station on Saturdays. He also drove to a neighboring suburb, Saint Herblain, several times in the morning with his own car to see what the fire department was up to. On top of this, he made the trip by himself to Saint Étienne (Eastern part of France) to attend an annual national convention where firemen and suppliers meet to promote and sell their latest developments. Saint-Etienne is quite a long way from Nantes! I had explained to him that attending this event would give him a better overall picture, and the chance to learn more about our profession by exchanging with folks in the field. He seized the opportunity right away, which showed his go-getter spirit. We were so impressed by his motivation and his unflinching determination that we all felt he deserved our support. From that moment on, we gave him the go-ahead on quite a few actions. We invited him to a number of in-house events. He visited the fire station on a regular basis for brainstorming or work sessions with those who were on-call. Because he played the game, I chose to help him. Was his presence useful to your team? It was. I think my fellow firemen were really glad that someone took an interest in their work. Thomas implemented workshops and discovery sessions that generated ideas and an exchange forum. We all learned a lot from him, and this made us look differently at our daily routine. Our worksite is great because it houses not only the emergency unit, but also the local logistics center. Having both of these in the same vicinity was a plus for Thomas, who soon decided to focus on the material side of our activities. 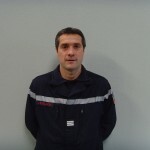 That’s why I directed him toward our co-workers in Logistics who buy, maintain and fix the equipment, and to one in particular named Matthieu Lemoing, Head of Purchasing, who also volunteers as a fireman at the station. In a way, we could say that Thomas had two supervisors during this phase. Once the first step was completed, he declined two ideas, and proposed two new lines of work. We gave him advice, and as soon as his choices were set and he had firmly decided which material he was going to work on, I have to admit that my co-worker, Matthieu Lemoing, took over on the technical side of things, and supervised him on a full-time basis. Weren’t you a little surprised at how he found his lines of work? Did you feel as though he were acting in a logical manner? In no time, Thomas settled into the rhythm of our profession, and become familiar with our work methods. My co-workers and I made good use of the on-line documents he had created, and all of us were sincerely impressed with how quickly he took to our techniques, the workings of our environments and our work ethic. He was surprisingly skilled for a novice. It usually takes us about a year to train a fireman. Thomas registered many things in only a few months Therefore he made concrete and feasible propositions based on his own research. What were your impressions on Thomas’s final proposal, the Fire Line project? Thomas opted for one of his first two ideas, and focused on what we call the “life line,” allowing him to come up with innovative and functional ideas in response to user input and feedback. Retrospectively we must admit there was an unaddressed need because Thomas met with one of our industrial partners who grew particularly fond of his project. And this collaboration exceeded our expectations: their encounter spurred the industrial to hire Thomas first as in intern and then as an in-house designer. 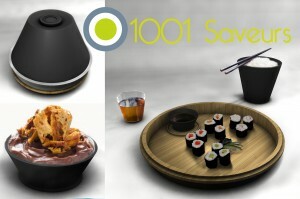 We really hope this project gives life to a product that can be beneficial to our staff on a daily basis. Thomas obtained a double degree in Business Management and Design in partnership with the Institute of Business Administration at the University of Nantes. Did you notice he had specific knowledge in Business and Management by the way he conducted his project? I guess he put his Management savvy into practice during the work sessions I was telling you about. His social skills enabled him to build strong ties with our team. He would come back to see what we were up to, update us and gather information on a regular basis. His personal qualities lent to him forging solid relationships. Thomas’s concept is close to becoming a marketable device. Maybe this will not happen right away, but the working prototype he recently made looks hopeful. Yes, yes, indeed. Between our first meeting when his project was still quite vague and the end result, I think the progress was startling for an outsider without any prior notions of the field. His approach was coherent from start to finish, including the: discovery phase, proposals and focus on one particular item all the way up to producing a prototype that will, hopefully, turn into a useful tool for firemen. Did you feel that Thomas, perhaps a bit shy initially and unsure of where he was going, gradually became more confident as he was working with you and your team, or would you say he was fully driven from the start? I’m asking this because, although we found his project promising, my fellow professors and I suggested he do a little bit of fieldwork, such as an internship or firefighter training. At first, I guess it was just him being shy as students can be. He was reluctant to do so. But once he got going, he had a lot of fun and enjoyed working with you and your team, and we could sense it in the way his project moved forward. He took to it more and more. Right, I won’t deny that he was not exactly convincing at first. Since he did not have a concrete project, I could have turned down his offer. But I wanted to give it a try. It was a new challenge for me. So Thomas and I gave it a shot, and he rose to the challenge. Looking back, I am really glad I agreed to be his supervisor. What he achieved for us was coherent right through to the end, and therefore, it warranted our support. Then, he prototyped Fire Line. Maybe one day there will be a Fire Line prototype here at SDIS 44? We’re still a long way from this day. I heard he completed a prototype, but we do not have it here at the station. Thomas updated us on a regular basis, and I hope his connections to the business world lead him to an interesting position. I think he’s on the right track with his job at Courant. We are awaiting the results of his final degree project. Those who dedicated time to Fire Line need to see the fruits of their labor in order to feel like it was time well-spent. Presenting the prototype and putting it at our disposal at the fire station would be a great way to illustrate the project. To Thomas Buisson, a designer must immerse himself in real conditions and meet a variety of professionals and experts. That’s why, as part of a self-willed field investigation conducted prior to launching his final degree project he was an observer for more than a month at the Carquefou Fire Service Department, under the supervision of Captain Jean-Baptiste Floch, and took part in many different drills and training sessions. Then he furthered his observation of the many working methods implemented at CTA-CODIS 44 (the local Fire and Emergency Services Department) with a comparative study of the equipment used in the many fire stations of the area. He gained a very comprehensive overview of the wholesalers during a one-day national firemen convention held in Saint-Étienne (Eastern France) in 2009. Among the many fields of action covered by firemen, Thomas Buisson eventually decided to focus his project on hostile fires. Hostiles fires amount to 9 % of fire service interventions but offer a “significant field of action for designers.” The young designer in-the-making had the opportunity to identify a series of issues raised by the “life line,” a device designed for a two-men team already out there at the front to find their way through the fire and smoked up environment: this material is heavy-duty and oftentimes makes it hard for the two-men teams to meet their peers’ path. Though more than necessary for exchanging information in such risky environments, the radio contact can sometimes be disrupted by the surrounding noise. The project carried out by Thomas Buisson – Fire Line – materializes as a carrying bag that houses a lightweight – 2 kg instead of the usual 15 kg – and luminescent “life line.” The carrying bag can be slung over the shoulder and kept at hand’s reach for optimum control of the line’s unwinding speed. 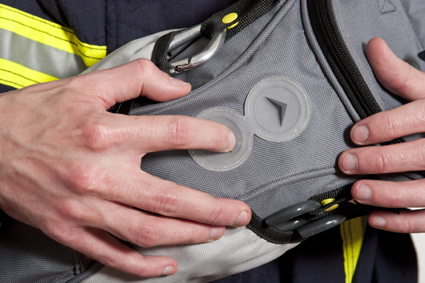 The bag features a communication system based on radio wave-transmitted light signals. His designer’s research also included selecting relevant materials: non-flammable fire-resistant fibers (Kermel) for the carrying bag, copper, aramid fiber and silicon for the rope, translucid polycarbonate for the olive-shaped markers placed every 10 meter on the rope so that firemen can keep track of the distance walked. 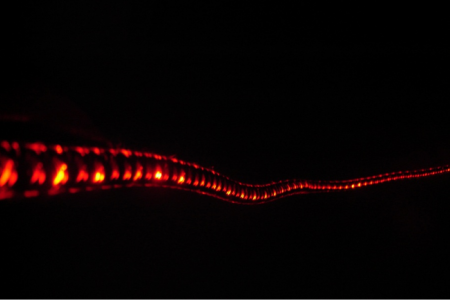 Fire Line could also be implemented in other fields such as spelunking/speleogy or deep-sea diving. Thomas Buisson prepared a Master’s in Business Management (a double curriculum based on a partnership between L’École de design Nantes Atlantique and the Nantes Business Administration Institute). The knowledge gained during this management-oriented training equipped him with sufficient skills to address his project with a truly economic dimension and to knit fruitful contacts with equipment manufacturers. 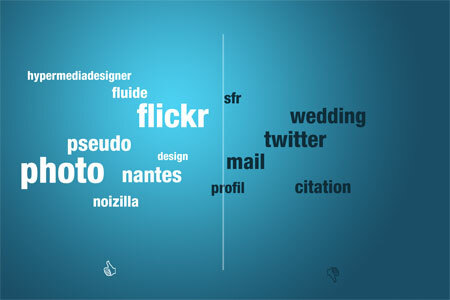 All throughout the advancement of his project, the young designer has built up a reliable professional network. So much so that his collaboration with French company Courant – an innovative company specializing in a specific range of professional materials) paved the way to a patent deposit and to a working prototype. 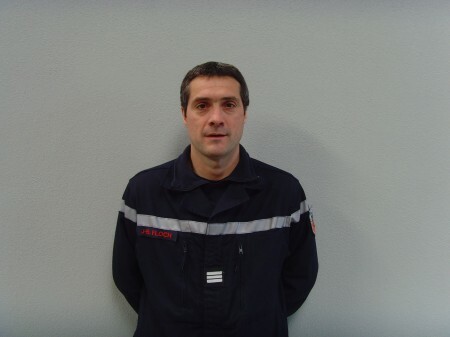 Capitaine Jean-Baptiste FLOCH has worked as a firefighting officer since 1991. From 1991 to 2001, he was in practice in Toulouse (Southern France). In 2003, he was appointed Head of the Carquefou Fire and Emergency Services in the vicinity of Nantes (Loire region). The Carquefou fire station counts 3 officers, 30 professional firemen and 60 trained volunteers. This unit covers Carquefou and its neighboring towns, which amounts to roughly 60, 000 inhabitants in total. 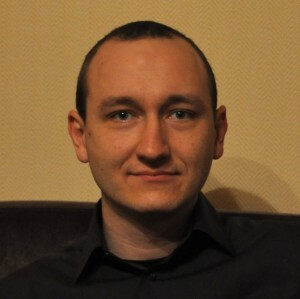 Sébastien Genvo is an expert in game design who has tenure as an Assistant Professor at Paul Verlaine University in Metz (France). Here are his anwers to a bunch of questions asked by Thierry Lehmann, Head of the research unit in Tangible Interfaces of L’École de design Nantes Atlantique. Their conversation is centered on augmented reality and vidéo games seen as means of expression and of questionign reality. Thierry Lehmann introduces us to Immersive Rail Shooter an application developed as part of a final degree project by David Arenou, with the keen support of his tutor, Sébastien Genvo. IRS was awarded several prizes at most renowned Japanese competitions IVRC and Siggraph 2010. Pascal Gentil, Head of the Technical Department at the Innovathèque – a French resource center for innovative materials – is an expert in innovative materials. He supervised the éKosse project devised by Caroline Saier, Master’s student in the Mutations of the Built Environment Program. Catherine Bouvard, Curriculum Course Leader, asked Pascal Gentil about the activities offered at the Innovathèque, current issues involving materials and the interaction between this field and design. 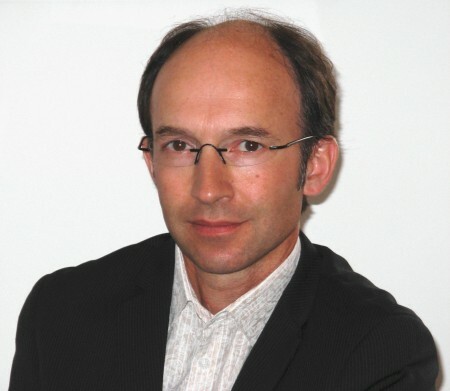 Jean-Jacques Boutaud teaches Communications at the University of Burgundy and is an expert in semiology and semiotics. He is particularly interested in the art of dining and has written a series of books exploring the link between semiotics and communication. He is in charge of a research laboratory dedicated to communication within the sensible universe, and his team focuses on documenting topics such as image, mediation and the notion of sensibility in information and communication-oriented initiatives (LIMSIC).